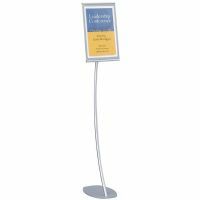 Quartet Designer Sign stands transform flyers into secure, sophisticated displays. � Maximum durability in high traffic environments. � Display frame in portrait or landscape. � 279x432mm aluminium frame with modern styling.